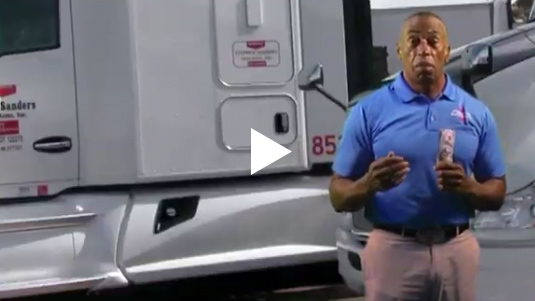 Take a look at several of our TV commercials to see what our drivers accomplish every single day. Wiley Sanders offers great benefits, from health insurance to tuition reimbursement to a sign-on bonus. Learn more today. 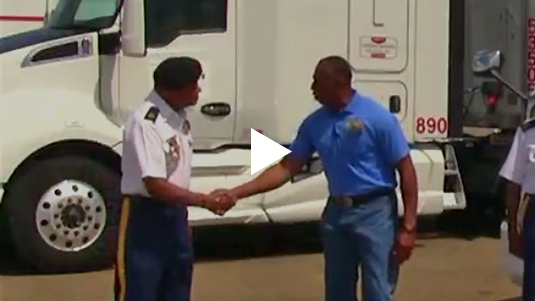 Wiley Sanders offers an additional sign-on bonus to veterans of the U.S. Armed Forces. Thank you for your service! 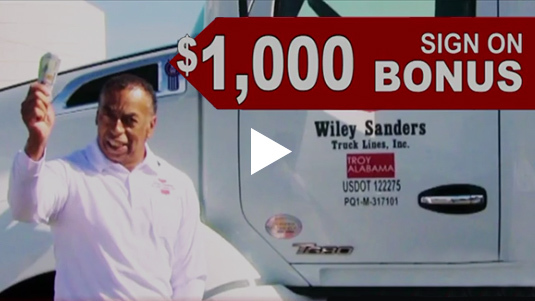 Wiley Sanders offers our drivers incentives like per diem, where you can earn tax-exempt pay. Sign on today. 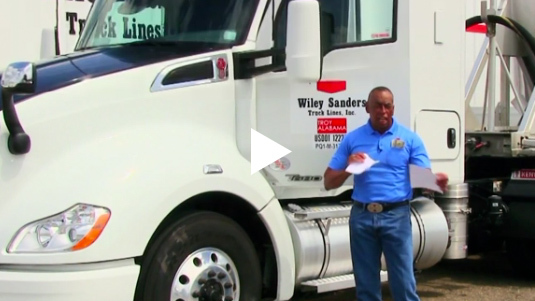 Come to Wiley Sanders first and begin your trucking career, ready to make money. Sign on without a contract today.